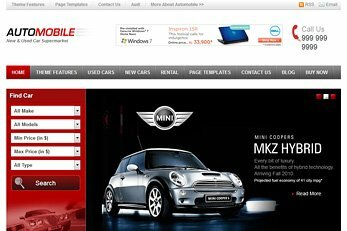 Templatic WordPress car themes are designed for professional looking car dealership websites. This is an ideal theme for car dealers, sellers or it can also be used for other vehicle types like motor cycles, trucks, vans or even car spare parts or accessories. 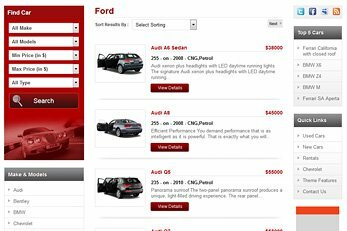 Adding new make and models or Custom fields are a breeze making this theme possible to advertise any auto-related business. The Automobile theme has been built with stylish design and comes with powerful and versatile options under the hood. 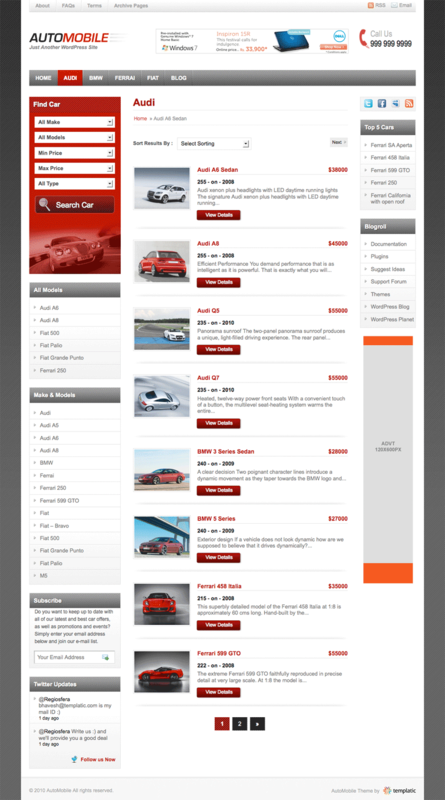 This Auto template is custom-built for car sellers so focus has been put on the homepage design. This is effectively your online car showroom so you need to be able to display your cars in a stylish and informative way. Automobile gives car dealers freedom to arrange the homepage with widgets. As well as the car makes and vehicle listings on the homepage, you could for example add a list of featured cars. The car image slider is also another customizable homepage widget. 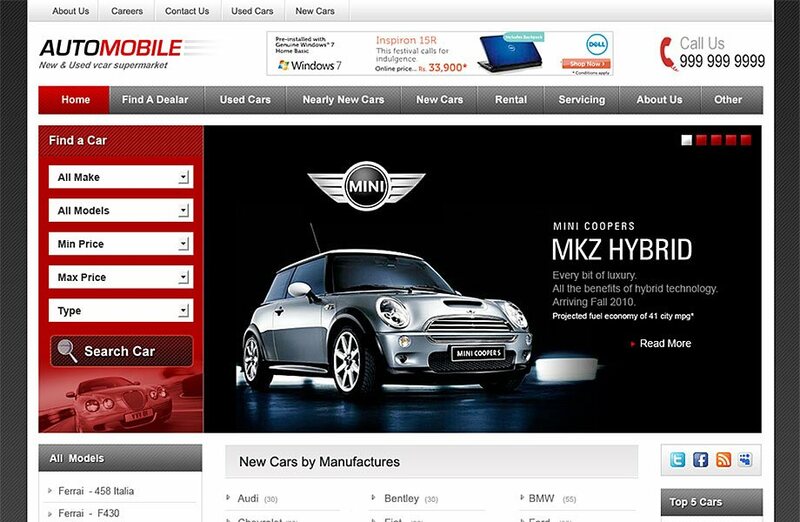 The homepage also comes with advanced search which works for car makes and models. This powerful theme has more under the hood than meets the eye. The admin control panel lets you easily add cars with each having its own vehicle inventory. 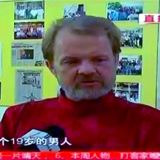 Enter price, car make, model, engine size, mileage/kilometers, year of manufacture, fuel type. Add all car makes and models which your dealership is selling, you can delete or edit the sample ones if you like. The dashboard is easy to use and is designed to let you manage all aspects of your car portal. Car dealership websites need to be able to let car buyers easily find cars. 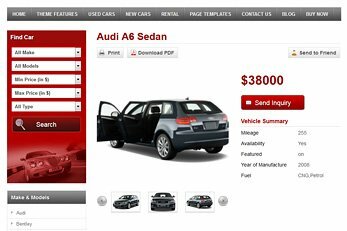 Automobile comes with car make and model pages which help your customers quickly browse through all the listings for a car make. This page loads the cars listed in that make with a short description about each car like, price, mileage, year of manufacture and fuel type. Car buyers can also sort the vehicles with (low to high/high to low) prices and year of manufacture or by ascending/descending title alphabetical order. The vehicle detail page is really where this automotive theme revs up. This is where each advertised car gets its own image gallery, detailed information about its mileage, year of make/registration and type of fuel. You can also add new custom fields you create in the dashboard display along with the theme’s default ones. The price of the car is also clearly shown with an inquiry form for a quicker sale. As a car dealer, you can add a full description as well as a video’s embed code if you have any to maximize the car’s selling potential. Selling a large number of cars? No, problem. The Automobile theme lets you batch/bulk upload car/vehicle inventory with images. This built-in tool to bulk import cars works in CSV format is ideal for adding more than 1 car listing to your site in one go. The bulk upload tool will also work if you’re using this theme for car garages, car spare shops, automobile companies or any car-related business. As with best car themes, you need to be able to add new fields. Automobile lets you easily Create custom fields from the dashboard. You can for example add fields for: transmission (manual/automatic), number of doors, condition, body style (convertible, coupe, hatchback, sedan, pickup, offroad, wagon/estate), engine size and so on. The available field types are: checkbox, radio, drop-down select, text, text area or multi select. You can basically customize the theme to suite your car dealership needs. You can use the fields system to create new fields for other vehicle types too. This is not only an auto dealer theme, Automobile also comes with its very easy to use blog. As well as being able to add custom pages, not just car listings, having a blog is also a great way to promote your cars online. You can for example start your own cars blog to help getting your car dealership website rank better on Google. Having automotive content on your site will most probably help you rank for more keywords. This should hopefully drive more traffic to your website and help boost your car sales. 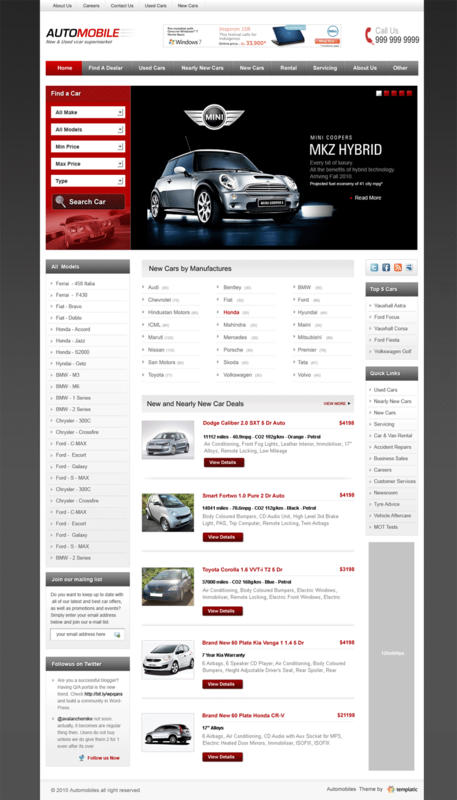 The Automobile car dealer WordPress theme comes with our awesome single click install feature. You don’t have to start with a blank theme. To get your car portal ready to go, activate the Automobile theme and press the ‘Insert Sample Data’ button. This feature populates your website with sample content including, car makes and models, default fields, sample pages and blog categories and posts. You also get the theme’s default widgets in place, settings and options. The samples are designed to get your theme like the demo. Once you install the theme, you should be able to start adding car listings and concentrate on running your business. Just in case you require any assistance with the theme’s settings, our highly trained and friendly support staff are always happy to help. Creating a support ticket is possible either via the contact form at the top of our site or straight from your user dashboard. We are confident this theme will help boost your online presence and help you sell more vehicles. A completely customizable header region with theme options to upload your own background header graphic and business logo. Up to four levels of drop-down navigation and a fully customizable breadcrumbs navigation in inner pages is included for a better user experience. Use the available widget locations to display car banner ads or to advertise anything else. You can also display Google AdSense if you like. This is an SEO optimized theme specially designed for car dealers. Your cars will easily be found online as your site content should easily be optimized with Automobile. Our theme fully supports WordPress widgets. But wait! We have also included custom widgets for this auto dealer theme. These are designed to let you have flexibility in showcasing cars on your online showroom. Car buyers will be using different browsers such as Firefox, Chrome or maybe Internet Explorer. Our theme renders perfectly in all of the latest browsers and it’s fully W3C standards compliant.